The Jellicoe Review 2010/11 is now online – with testimony from, and articles by, many of our interns and staff. It also contains articles by Bishop Richard Chartres and Professor Diarmaid MacCulloch on Fr Basil Jellicoe, and the ways he has inspired the Jellicoe Community’s ongoing work, and Bishop Doug Miles’ Jellicoe Sermon at Magdalen College. It’s an excellent way to get a sense of what the Jellicoe Community is and does, and what our internships involve. 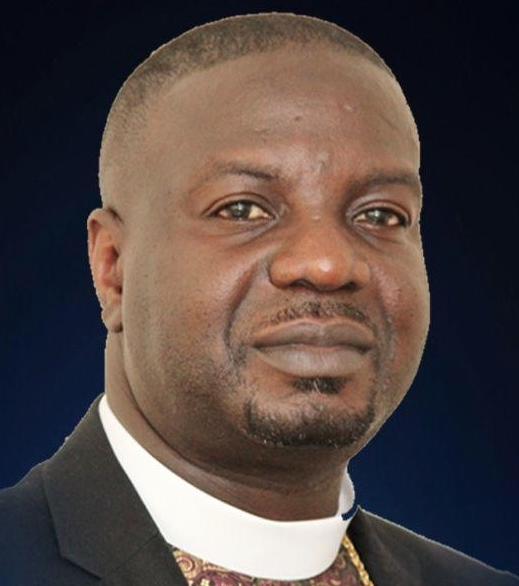 Pastor Peter Nembhard’s powerful sermon launched what is going to be a termly act of worship – in East London and also in Oxford – for the wider Jellicoe Community. 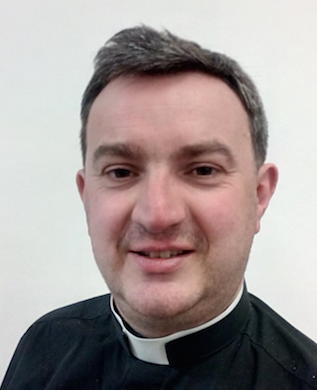 We will soon be announcing dates and venues for our summer term services, but in the meantime we are delighted to confirm that the Rt Revd Stephen Cottrell will preach at our autumn act of worship in East London. This will be on the evening of Tuesday 11th October, at the Royal Foundation of St Katharine. Among his many distinctions, Jellicoe – slum priest, retreat conductor, social reformer – is the only Anglican priest to have inspired an entire musical. Jellicoe: The Musical had its brief moment of glory eight years ago, treating the residents of Somers Town to such hits as ‘St Pancras House Improvement Society’ and ‘A Parson Running A Pub’. While it has yet to hit the West End or Broadway, the musical is indicative of Jellicoe’s larger-than-life character, and the affection his memory continues to inspire in his old parish. Jellicoe exemplified the best characteristics of that generation of Anglo-Catholic clergy. He had passion and prayerfulness, humour and charisma. Above all, he was inspired by the conviction that the life of God could and should become flesh in every earthly community. Jellicoe’s vision transcended the narrower tendencies of Anglo-Catholicism. Archbishop Rowan Williams recounts a characteristic incident: “Father Basil was challenged by some of his more narrow-minded High Church friends about why he would come to celebrate and preach in a parish church like [St Martin-in-the-Fields] where the Blessed Sacrament was not reserved. Jellicoe said he had no problem at all in coming to preach in a church part of which was reserved for the service of Christ in the form of his poor.” The sacrament we celebrate today was, for Jellicoe, about a deep and generous engagement with the world – not a pious retreat from it. Fr Basil was a realist – living in the world as it is, and inspired with a vision of the world as it should be. We see this realism in the economics of the St Pancras House Improvement Society, and in Jellicoe’s willingness to move beyond the confines of one church tradition. We also see it in his attitude to alcohol. Jellicoe himself was teetotal, and yet one of his most controversial schemes was the establishment of a College for Publicans. His reasoning was pragmatic not judgmental. He wanted the drinkers of Somers Town to get good service and good beer – and to save them from the kind of pub that made its money by encouraging alcoholism and so devouring the whole of a family’s much-needed income. 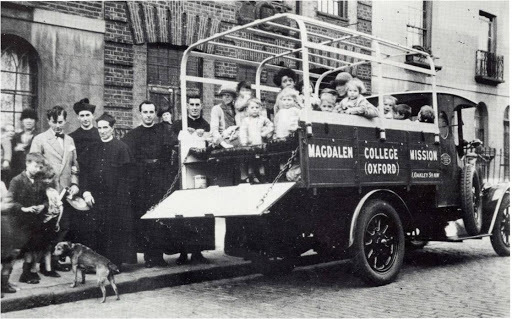 Seven decades on, the Jellicoe Community was founded here at Magdalen. Its aim was to enable another generation of students to live Jellicoe’s convictions, on residential placements in East London. More recently, interns have been drawn from a much wider range of institutions – last year, Magdalen’s Antonia Adebambo and Ellen Lynch were joined by around 20 other students. Today’s interns are placed in Christian congregations from a wide variety of traditions. Within the Church of England, these vary from charismatic evangelical right through to the smells and bells of Jellicoe’s own church, St Mary’s Somers Town. Jellicoe interns are also placed in Baptist, Catholic, Methodist, Pentecostal and Salvation Army congregations. These churches are all members of London Citizens, the capital’s broad-based alliance. It contains over 160 dues-paying organisations – alongside churches there are mosques, temples, schools, student and trade unions. Their common action has achieved some striking results. 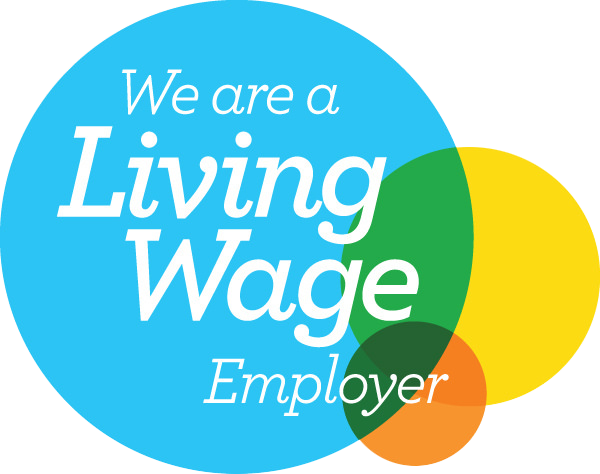 London Citizens has won over £60 million pounds for low-paid workers, and secured the world’s first Living Wage Olympics. The Citizens UK Assembly in May secured commitments from David Cameron and Nick Clegg to the end of child detention in the asylum process, and to Community Land Trusts as a way of achieving decent, affordable housing in our own generation. In organising, the action grows out of the relationships – relationships based on an attentive listening to people’s circumstances, passions and values. Community organising is not unique because of the things it campaigns for. What’s distinctive is the process. The action is not merely for the poorest and most marginalised in society – it is taken by them. People used to being passive recipients of whatever the political process deals out become agents of change. The process matters every bit as much as the results. The work of community organising is very much in the spirit of Jellicoe: in its commitment to valuing and listening to local people; in its invitation and its challenge to those with wealth and status and in its realism – its willingness to engage with the world as it is and not simply to dream of the world as it should be. I hope community organising can also learn from the less positive aspects of Jellicoe’s story – focusing not on a charismatic individual (with the attendant dangers of burn-out – Fr Basil died of exhaustion, aged just 36) but participating in a process which is actually led by local people. At a time when young people are supposed to be apathetic, the growth of Jellicoe Community shows there is a real appetite for engagement with social and economic justice – engagement driven by the very people who are supposed to be hardest to involve. At a time when they are supposed to have given up on institutional religion, we find students increasingly drawn to a form of social action built on the life of local congregations. And at a time when the media is full of stories of church disunity, we find Christians working together across a wider and wider range of denominations and traditions. The approach of community organising is to build relationships around the issues on which we can agree. This is not to evade the serious issues of disagreement. Rather, the hope is through organising on the areas where passion and vision are shared, we can come to more contentious issues with deeper bonds of trust and solidarity. 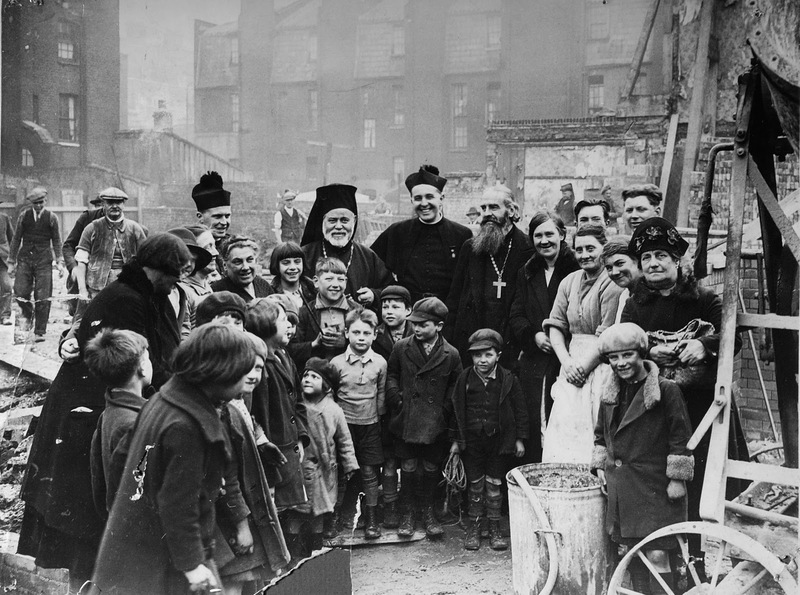 In denouncing slum housing as “an outward sign of an inward disgrace” Jellicoe’s words and deeds proclaimed the intimate connection between spirituality and social justice. Fr Basil knew that when the Spirit of God warmed and transformed human hearts there would be evidence of this in the public sphere as well as the personal, in the transformation of slums as well as the celebration of sacraments. Of course, the Jellicoe internship is just one of many different ways in which you might rise to that challenge. Last term, Bishop Doug Miles preached the Chapel’s annual Jellicoe sermon – choosing as his theme ‘A Life That Counts Beyond The Self’. Basil Jellicoe lived such a life; a life that counted for something, a life that is still having an impact, many decades on. Like Bishop Miles’ sermon, today’s readings [Isaiah 58:7-10; Matthew 5:13-16] both challenge us. They ask what kind of life we want to live, what kind of church we want to be. Will we follow the stale path of maximising earnings and minimising engagement beyond the circles of the prosperous and fortunate – a life that may be outwardly religious but which is hardly salt or light? Or will we allow Jesus Christ to call us out beyond our self-absorption – into a life that is richer, fresher, fuller – a life that changes, and is changed by, the poverty and injustice of our own age? 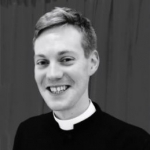 Magdalen College – Basil Jellicoe’s alma mater – has appointed the The Revd Dr Angus Ritchie as its Jellicoe Chaplain. His role will be to oversee the development of the link between the College and East London, and act as Senior Member of the Jellicoe Society. This is a continuation of work Angus has been involved in for some time – including setting up the Jellicoe Community, and arranging an annual Jellicoe Sermon in the College Chapel. 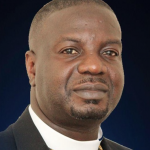 This year’s Jellicoe Sermon will be given by Bishop Doug Miles of Koinonia Baptist Church, Baltimore at 11am on Sunday 21st November. Bishop Miles is a leading figure in BUILD, the city’s community organising alliance, and will be in the UK from 21-28 November on a speaking tour. 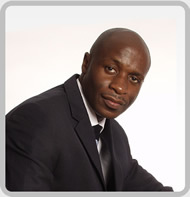 Other engagements include a keynote address at a conference on urban mission at Holy Trinity Brompton on 25th November. 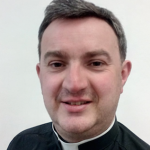 Dr Dominic Keech, an ordinand at St Stephen’s House, spent four weeks this summer on placement in Fr Jellicoe’s old parish, as part of the Jellicoe Community. Dominic worked alongside Fr John Caster, who is preaching the 2011 Jellicoe Sermon at Magdalen College, Oxford on 23rd October. In July, I spent four weeks living and working in the Anglican parish of Old St Pancras, based at one of its four churches: St Mary the Virgin, Somers Town. This part of the borough of Camden forms a rectangle lengthways between Euston station and Mornington Crescent tube, bordered at the West by Eversholt Street and at the East by St Pancras International. It grew in the mid-nineteenth century with the train-lines running north. It is now an archetypal inner city hub of shops and offices, high density housing and travel interchange. Somers Town is better known than the many urban estates which reflect it, perhaps through the documentaries which have told its important history, and the 2008 film Somers Town, by Shane Meadows. In common with much of London at the turn of the twentieth century, Somers Town was a place of condemnable conditions: dilapidated and infested housing, poor sewerage and intense overcrowding. In the 1920s, the remarkable ministry of Fr Basil Jellicoe initiated a scheme of slum clearance, and the foundation of a housing cooperative in which local residents – re-housed in new buildings but within their existing community – could vest their interests. Unlike much of Camden surrounding it, Somers Town remains a place of predominantly social housing, and many of the people who live there are related to the first residents of the St Pancras Housing Society homes. Fr Jellicoe is symbolic of social action, deeply and stably engaged in a community, which flourishes in real change for people on the ground. It is a model of commitment to community which the parish of Old St Pancras (which also includes St Michael’s Camden Town, St Paul’s Camden Square and St Pancras Old Church) continues to take seriously. It is an inalienable part of the Anglo-Catholic tradition of those churches, which believes the Incarnation and the Sacraments of the Church are here to catalyse change in the world, and not only adorn it. The parish has been involved in the foundation of North London Citizens from its outset, and established a listening campaign within its four churches early in 2011. The issue which surfaced most pressingly in those conversations was housing: as a basis for stable community for everyone, but particularly for the elderly and infirm; for vulnerable adults; for unrepresented and transient immigrants, and for low income families. This concern presented itself most consistently in Somers Town, where peoples’ homes are administered by housing associations, and the borough council. I was invited to come to St Mary’s by its priest, Fr John Caster, and the Rector of the parish, Fr Philip North. They asked me to build in some way on their listening campaign, by hearing myself what was concerning people, and relating it to the bigger picture of social housing policy in a time of considerable political change. My time in the parish was split between investigating the history and current state of Somers Town’s housing stock, local government housing policy, and national plans laid out in the Welfare Reform and Localism bills; and listening to people talk about their housing situations. Both national and local policy promise to change the way social housing is funded in a very radical way. This in turn will have an effect on the way housing associations and councils set rent levels – to perhaps as high as 80% of the market rate, an impossible increase for lower and even middle income households in urban areas. Inner London estates, in close proximity to high-cost private housing, are therefore in a highly compromised position. If welfare reform reduces the level of Housing Benefit without regard for local variations in real housing cost, this looks set to impact some of the most vulnerable people in our cities. I produced a detailed discussion paper for the parish, which attempted to draw together these different aspects of the housing scene as they are emerging. I hope it will be of use as the Old St Pancras team develops its role in the work of North London Citizens. It was a privilege to be so warmly welcomed by people at St Mary’s, who want to make sure that the inheritance of Jellicoe carries on animating their community to come together, and change things for the better. Oxford saw two packed Jellicoe events this week, both with the inspirational Bishop Douglas I. Miles of Koinonia Baptist Church in inner-city Baltimore. Bishop Miles has been at the heart of broad-based community organising, in the city which originated the Living Wage Campaign. He preached the Jellicoe Sermon at Magdalen on Sunday, and addressed the launch of the Oxford Jellicoe Community on Monday. Pentecost: When the spirit comes, the world is transformed! In place of our weekly blog, we bring you a sermon preached by our Director, Canon Dr Angus Ritchie, at Magdalen College, Oxford, for Pentecost. In it he covers the Holy Spirit, Social Justice and one of our heroes… Fr Basil Jellicoe. “Bishops are often told to stick to spiritual matters, and to stay out of politics and economics. Such advice is half right: the Church and its leaders certainly should focus on to spiritual matters. After all, that’s why Bishops get to wear such funny hats. The curious shape of the mitre is modelled on the flames of the Spirit that descended on the Apostles at Pentecost. They remind us that Bishops are “spiritual” leaders, and indeed that the mission of the whole Church is a “spiritual” one. Back in 2002, Professor Richard Wiseman of the University of Hertfordshire did some research to discover the funniest jokes in the world. He set up LaughLab, a website where people could submit and vote on different jokes, in order to establish which ones had the broadest appeal across ages and cultures. Earlier this month, we looked at the importance of taking people and their gifts seriously. We see the same here: Peter is dismissive of the boy’s offering, while Jesus sees its potential (not least in the way it sets an example of sharing). Last week, we looked at the importance of the balance between material and spiritual feeding. Jesus knows that the crowd need food as well as sermons. We can’t witness to God’s love, if we don’t show that love in our day-to-day behaviour. As the Letter to James says: Suppose a brother or sister is without clothes and daily food. If one of you says to him, “Go, I wish you well; keep warm and well fed,” but does nothing about his physical needs, what good is it? In the same way, faith by itself, if it is not accompanied by action, is dead. Ministering to people’s physical needs – whether feeding the hungry, or building a world where they aren’t hungry again – is one way we make the Gospel a reality, and open people’s lives to the power of the Spirit. But we cannot live by bread alone. The value of sharing goes beyond the purely material. When we share of what God has given us, we are drawn into the communion – the love – that is at the very heart of God. Today’s Gospel reading not only teaches us about the human generosity and sharing that draws us into the life of God. It also points us to the feast of the Eucharist – where God’s self-giving in Jesus takes flesh for us in bread and wine. Pray for David Barclay, starting work on 1 August at the Contextual Theology Centre on its Call to Change initiative with the Church Urban Fund. Pray that this work will help churches to engage with their neighbours to build generous and just communities. Pray also for all communities affected by the Olympics – and for local initiatives such as Highway Neighbours helping people support one another in living with its impact, and enjoying the historic events. There are very few statues or sculptures of our Lord’s Ascension. It’s always difficult to convey movement in a statue. How on earth do you depict Jesus going up into the heavens? Painters certainly show it as a stately and seemly movement – so the sculptor cannot show hair or clothes being ruffled by high speed, upward travel. How, then is movement to be expressed? A number of churches have tried to rise to this artistic challenge. One congregation has commissioned a vast helium balloon of Jesus in a cloud. The Shrine Church at Walsingham adopts a different approach. Its Chapel of the Ascension has a cloud sculpted into its roof, with two feet sticking out. I must confess, when I first saw the Chapel roof, my reaction was to collapse in fits of giggles. Because sculpture cannot easily convey movement, there is an unfortunate ambiguity. It isn’t entirely clear whether the feet are on their way up or down. It rather looks as if the ceiling has fallen in, and someone’s feet are now dangling through the roof. But once you’ve got over its unintended comedy, the sculpture conveys some fundamental truths about the nature of the Ascension. For it shows us who and what has gone, without telling us precisely where he has gone. We know who has gone: Jesus, our crucified and risen Lord. In the Walsingham sculpture, the feet ear the wounds of the cross. We know what has gone: Christ’s physical body. In the Easter season the Gospels have been emphasising over and over again the physicality of Christ’s resurrection. Our risen Lord is not simply some spirit who has shuffled off his mortal coil. In the resurrection God not abandon our physicality – he rescues it from death. So we know who and what has gone – but where exactly has our ascended Lord gone? Christians disagree on whether the story of the Ascension should be taken literally. But even if we take it completely literally, we cannot imagine that Jesus’ body continued to ascend on the other side of the cloud. Today’s Gospel reading makes that clear: Jesus tells his disciples he is going back to the Father, not on an extended voyage into outer space. That’s what I like most about the Chapel of the Ascension at Walsingham. We only see the feet. When we think about what lies on the other side of the cloud, words and images begin to fail, and so they should. The Christian faith is that human beings have a physical and spiritual future. Our story does not end with death, and its continuation is not merely about some kind of half-life in a world of ghostly shadows. Our story – our whole being – is taken into God; the God who holds the world in being, but whose presence in this world is obscured by sin and death. The Bible is somewhat reticent about what this future will be like. It is of necessity a mystery, because our future with God is beyond human understanding. That shouldn’t surprise or trouble us. I don’t know how many of you saw last term’s debate between Rowan Williams and Richard Dawkins in the Sheldonian Theatre. (If you didn’t, but are still interested, the footage remains online at archbishopofcanterbury.org) One thing that this debate made clear is that the difference between Williams and Dawkins lies in the ambition and scope as well as the content of their picture of reality. Richard Dawkins longs for a day when an exhaustive and comprehensible explanation of everything is on offer – a scientific theory which will account for and describe reality without remainder. Rowan Williams thinks the world is more mysterious than that. The position of Archbishop Rowan, and indeed of any thoughtful Christian, is that there is an inexpressible depth to the world. As Christians, we’re not in the business of offering a comprehensive explanation of every detail of reality. We recognise that many aspects of reality can be researched and understood, but others pass human understanding. As one writer has put it, life is not simply puzzle to be solved, but a mystery to be experienced, a gift to be lived. This is not a plea for blind faith. As the Archbishop’s dialogue with Dawkins made clear, Christians can give good reason for thinking the world has this kind of depth. There is a genuine argument to be had between those who think science can one day explain everything, and those who think that the scientific account of the world leaves open some further question about the origin and destiny of our world. This is the true boundary between faith and reason. If there is a God who passes all human understanding, our knowledge of that God will depend not only on our reasoning, but on his self-revelation. And the Christian faith is that God’s self-revelation is centred on Jesus Christ, His Word made Flesh. The Letter to the Hebrews talks of Jesus as the ‘pioneer of our salvation’. A pioneer leads the way through uncharted territory. Jesus, who lives the life we ought to have lived, and dies the death we ought to have died, shows us that there is a hope beyond the grave. In his resurrection, we see that our personality and our physicality have a future. In a moment, we will recite the Creed, which sketches out the shape of this future hope. It speaks of Christ ascending into heaven, of him coming again in glory, establishing a kingdom which shall have no end. But beyond this the Creeds, and the Bible, do not go into huge amounts of detail. We are given an array of pictures of what lies beyond, but they are just that: images and metaphors, glimpses of a glorious future that is beyond our understanding. These glimpses of the future are given so that we might have the confidence to live with love and courage here and now. As St Luke recounts the Ascension, angelic figures ask the disciples “why do you stand looking at the clouds?” And in today’s Gospel, Jesus speaks of his disciples not being of the world, but being sent into the world – sent to proclaim and embody the love that flows within the heart of God. As we heard in our Epistle, No one has ever seen God; if we love one another, God abides in us and his love is perfected in us. How does God abide in us, now that our risen Lord no longer walks among us? How are we to have the grace and power to embody the very love of God? The answer is in the next verse of the Epistle: By this we know that we abide in him and he in us, because he has given us of his own Spirit. That is why these days between the Feast of the Ascension and the Feast of Pentecost have a special significance in the life of the church. We rejoice that the pioneer of our salvation has borne our wounded humanity into the life of God – with the hope that gives us, both of the safe keeping of those who have gone before us, and of a day when the whole creation will be renewed in love, in beauty and in justice. And we rejoice that God has sent his Holy Spirit, that the love, the beauty and the justice of Christ might take flesh in this world, here and now. This year, Christian Aid Week overlaps with these days of prayer between Ascension and Pentecost. This is a good reminder – that the hope of an eternal future with God does not leave us gazing fondly into the heavens. Rather, God calls us to be inspired by that hope, and sends us the Holy Spirit, that Christ may be made present here and now. As Christian Aid’s slogan puts it, we are called to believe in life before death as well as afterwards. we beseech thee, leave us not comfortless, but send to us thine Holy Spirit to comfort us and exalt us unto the same place whither our Saviour Christ is gone before. In this Eucharist, we are both comforted and exalted. We are lifted to glimpse something of our glorious future in Christ. It a future in grow in communion with God and all his children – those we see here, and those from whom we are now divided by distance or by death. And this foretaste, this glimpse of glory, is not given not to distract us from our earthly pilgrimage. Rather, it gives that pilgrimage its direction, its confidence and its power. Peter Nembhard, Pastor of one of our Pentecostal congregations, preached a powerful sermon on Moses, anger and justice – at a special Jellicoe event in Merton College, Oxford. Song of Moses brought together a group of Christians from very different traditions and contexts – College Chapels and St Aldate’s and St Mary Magdalen Churches in Oxford and Pastor Peter’s ARC in East London – to pray and reflect together on the call to social justice. Jellicoe intern Daniel Stone gave testimony on the impact of being on placement at ARC. 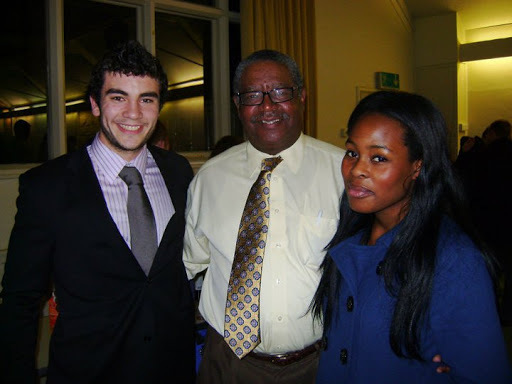 Daniel has since been elected Vice-President (Charity & Communities) of Oxford University Students Union. Coming up – on the evening of Wednesday 22nd June – is an event with two of the leading thinkers on faith and organising, Baron Glasman and Prof John Milbank. Full details of this final Jellicoe event of term will follow soon! It’s been a week of action for the Jellicoe Community. At our home, the Royal Foundation of St Katharine, a packed chapel heard Pastor Peter Nembhard’s powerful sermon on Action, Power Justice. Pastor Peter (above) is Senior Pastor at ARC (A Radical Church) in Forest Gate, Newham – host to three of our Jellicoe interns. He preached on the story of Moses, drawing out the ways in which God called him to channel and discipline his anger at injustice – turning him from a violent and impetuous young man, to the leader of the Hebrew slaves in their journey of liberation. Drawing on later examples of Biblical leaders, and in particular the leadership exercised by Jesus, Pastor Peter told us that “Meekness isn’t weakness. It is power which is obedient to love”. …all these made 2010 a momentous year – with 2011 promising to be at least as full of action and of growth. Over 200 worshippers gathered on Sunday evening to honour Fr Basil Jellicoe, in this 75th anniversary year of his death. The service, at St Martin-in-the-Fields, included readings and prayers by Jellicoe Interns, and a sermon by the Bishop of London. This was followed by a reception with presentations by the interns on their work this month and songs from Jellicoe: The Musical – first performed in 2003. St Martin’s was chosen because Fr Basil ministered there towards the end of his life. The evening included testimony from the daughter of the then Vicar, who recalled his ministry in the parish. We are grateful to Origin Housing – the successor body to Fr Basil’s St Pancras House Improvement Society – for helping to fund the reception, and for St Martin’s for hosting this inspiring event. 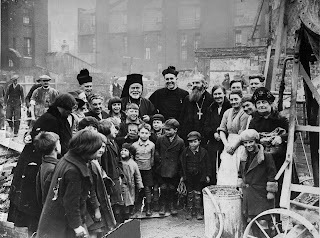 Fr Basil Jellicoe – slum priest, housing reformer and the inspiration behind today’s Jellicoe Community – died 75 years ago. The anniversary will be marked with a special Choral Evensong at St Martin-in-the-Fields, Trafalgar Square, London – with a sermon by the Bishop of London, and a drinks reception with this summer’s Jellicoe Interns. All are welcome.